Walking into the Fope stand, you felt as if you had time travelled. 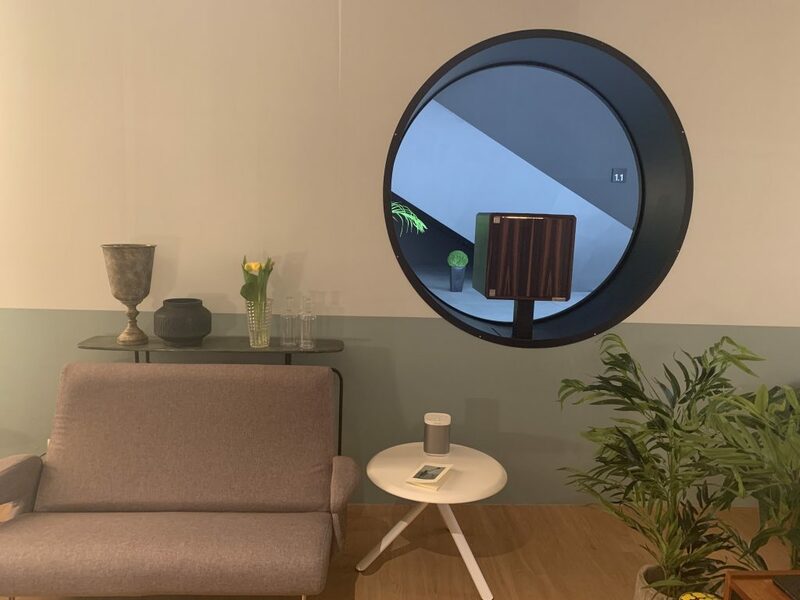 There was a palette of blush and sage greens as well as reclining wooden furniture pieces that lent on inspiration from a decadent holiday home in 1970s Italy. The artwork on the wall was exquisite, chic and the overall aesthetic was effortlessly stylish. Think ‘Under The Tuscan Sun’ plus high end jewellery. We were greeted warmly by Valentina, the brand’s Head Of Marketing and as we chatted over tea and espresso, we found out a little more about what makes this Italian brand so iconic to women all over the world. My name is Valentina and I am the Head Of Marketing at Fope, Italy. Fope is an Italian brand, that started out in 1929, as a small laboratory. In time it grew to become the international brand we know now. We have still kept out traditional roots, as our Headquarters and our factory are still in Vincenza, and we are still managed by the same family. We ship to more than 50 countries in the world now; it’s been a great success! It is a very Italian brand. We create very distinctive jewellery. It is elegant, easy to wear, comfortable and precious. Our pieces are suitable to dress up and down and so are something that you want to wear all the time. Q Fope is marking its 90th anniversary this year. What do you have planned to celebrate? A lot. At Baselworld we are launching a restyling of our identity. We are introducing a new logo, a new colour palette and a lot of change across our communications and marketing assets. On the jewellery side of things, we of course have our new collections and new jewellery for our Fope lovers. Q The brand is perhaps best known for its signature Flex-it collection, which is hugely popular among our customers. Why do you think the mesh-chain design resonates so strongly with women, year after year? I think like I said before, it is very wearbale. The pieces, especially the bracelets and are very easy to wear and they are very versatile. Due to the fact that they are made entirely of gold, with no clasps, it means they are comfortable, and easy to roll around. 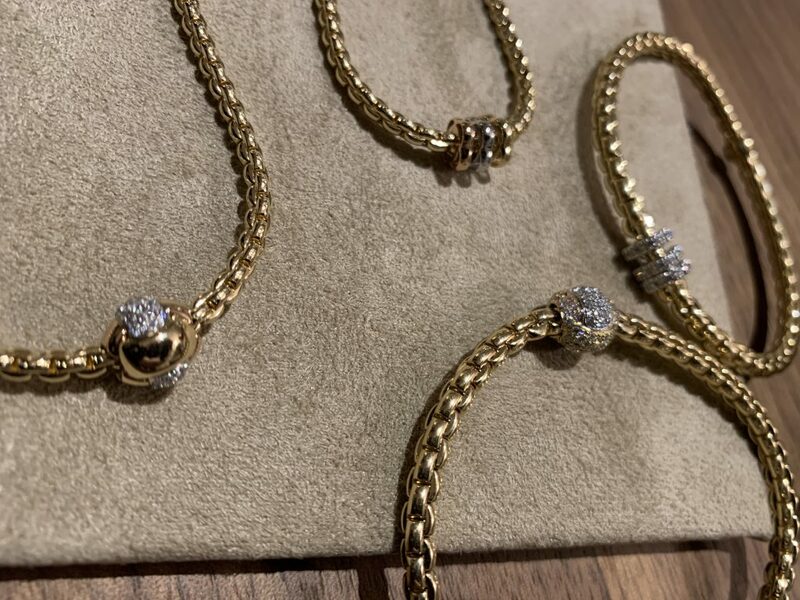 There are many styles and designs within the collection, and you can either complete the full suite or opt for hero pieces that are the bracelets and rings. It’s an elegant, wearable and distinctive range. Q What else can we expect from Fope at Baselworld 2019? Aside from our new collections, we have our new brand book that showcases Fope through the ages. It is a book of photographic history of our brand, secret sneak peeks into our factory through the years, and a glimpse of the beautiful city of Vinzenza and it’s architecture. Plus, obviously, our beautiful jewellery. Q Sustainability is becoming more and more crucial in the fine jewellery industry, and in the luxury watch industry. Would you say this has always been important at Fope and how are you championing these values in today’s world? Yes. Like I mentioned, Fope is a family owned business and one of our approaches is always to push forward with progress and looking for new techniques that are a good fit. We respect our employees and our environment. We are members of the responsible jewelers council and we ensure that our materials and the way we source them, where we source them, and our treatment of our colleagues and our impact is the best it can be. The certification is very important and the council set the standards, and we always want to find the best ways that we can be better and less impactful. I was having a chat yesterday with a young lady at our booth. She’s 25, and she has one bracelet she loves to wear. She then often borrows her Mum’s Fope bracelet to pair with it, and to give her a different type of look. This is the beauty of Fope. Women of all ages can wear Fope, and they will just style them in different ways. 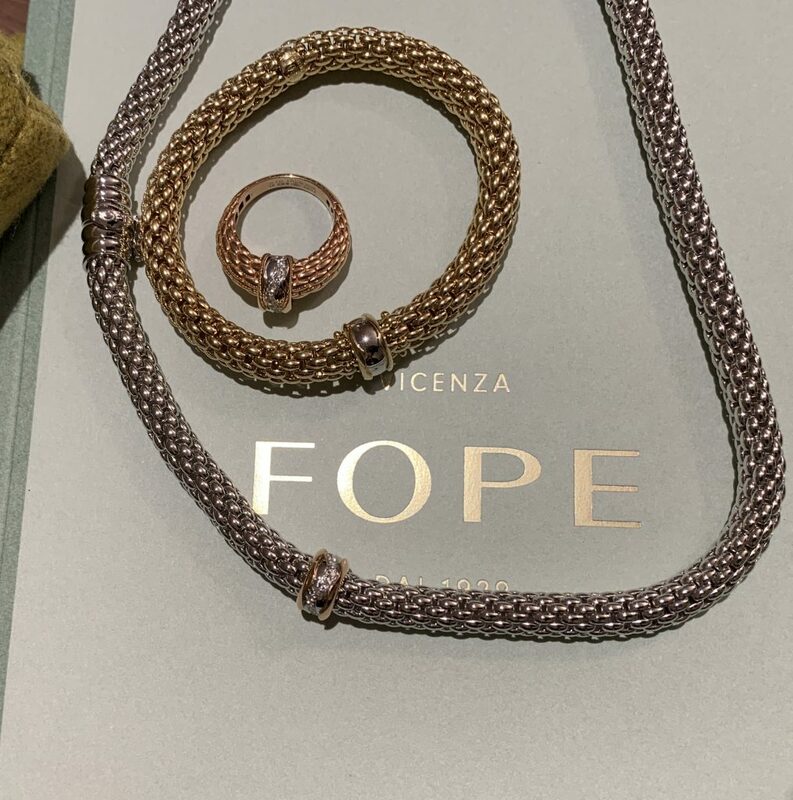 Anyone that loves timeless jewellery, quality gold and Italian Style – well, then Fope is for you. Q What is your favourite piece? 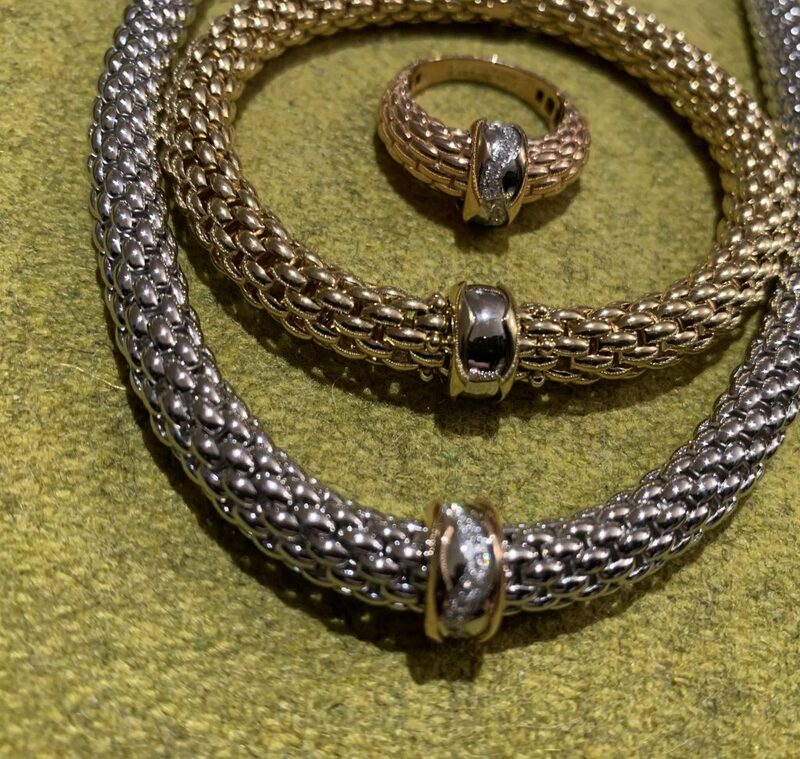 I like stacking bracelets, and prefer our thinner chains for this trend. My favourite collection is Eka-Tiny. It is available in different layers and I like to wear more than one at a time. I can dress them up or down, depending on whether I have an occasion to go to. They are so chic and stylish. You can find the latest Fope collections both in your nearest store and online here.